The media and analysts doubt that a report prepared by a presidential think tank actually heralds a new course for Russia. 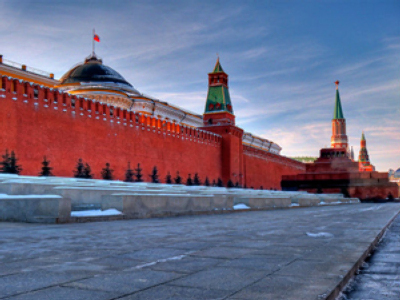 Reforms proposed by the Institute of Contemporary Development (INSOR) in the report called “21st Century Russia: the Image of Tomorrow We Want” may well return the country to the situation that existed in the 1990s, observers say. Anyway, “the authors’ views on an ideal democracy in Russia are different from those of the head of state,” Nezavisimaya Gazeta daily said. “For example, they propose to cut the presidential term to five years. Medvedev, as is known, has prolonged it to six years,” it said. As for governors’ elections, the president “has more than once said that there would be no return to them in the foreseeable future.” Moreover, the head of state has changed the order of the appointment of governors, the paper noted. Now the party that gets the majority in a local legislative body takes part in the process of appointment. The main idea of the report is that the modernization of the political system will help to improve the economic situation, but the document fails to give examples of such development “neither in the past, nor in the present,” the daily said. The report is “a certain political ideal close to the US political system,” said Dmitry Orlov, general director of the Agency of Political and Economic Communications. On the other hand, it represents “archaic proposals connected with a return to the 1990s or the creation of the situation that we can observe now in Ukraine,” he told Nezavisimaya Gazeta. Prime Minister Vladimir Putin recently warned of the danger of the “Ukrainization” of the political system, Orlov noted. Also, the authors of the report “should have indicated players and political forces that could be used in the realization of their ideas, as well as groups of the population which would support them,” Orlov said. “But the report does not contain an outline of political arrangement or mechanisms showing how to achieve the desirable future,” he said. The assessment of the country’s political system made by the president at the session of the State Council on January 22 “strongly contradicts” what INSOR proposes, Orlov told another daily, Vremya Novostey. The president actually supports the conservative model of the modernization of the political system, the analyst said. 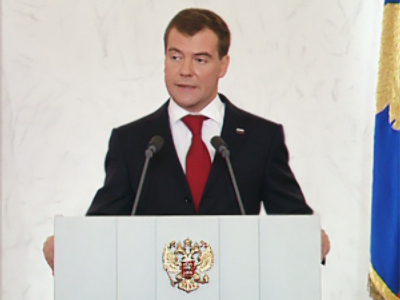 Doing so, Medvedev “relies on the current working national-democratic institutions and their development, not on the destruction of the system,” Orlov said. The political system that exists today is “a result of hard experience of our own political development,” believes political scientist Leonid Polyakov of the Higher School of Economics. “The authors of the report have chosen the simplest way – they propose to cross out everything that has been done during the last ten years,” Polyakov told Nezavisimaya Gazeta. They propose to wind the tape back, to move to the 1990s.” He was “stunned” after reading the document, Polyakov added. So far, the report has attracted “the attention of two parties only,” Kommersant daily said. The ruling United Russia party has criticized it, and Fair Russia has found similarities with its own program, the paper said. Deputies of the United Russia faction in the parliament “said that the ideas of the report may block the economic development and return it to the 1990s,” the daily noted. “In particular, the party’s members do not agree with the analysts’ proposals to return to direct elections of governors, to cut terms of office of the president and the State Duma to five and four years accordingly, and to liquidate the Interior Ministry, State Traffic Safety Inspectorate and Federal Security Service,” the paper noted. At the same time, deputies of the Fair Russia faction supported the ideas of the report “except for Russia’s joining NATO,” the daily said. The party’s leader and the Federation Council speaker Sergey Mironov has repeatedly stressed the need for return to elections of governors and members of the upper chamber of the parliament and the reorganization of the Interior Ministry, the paper said. 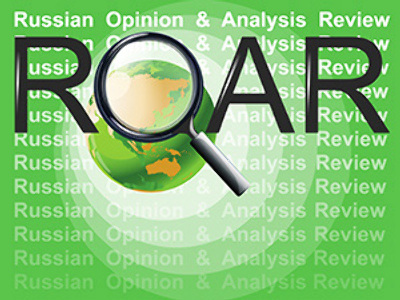 INSOR has prepared a good report “devoted to political modernization,” Nezavisimaya Gazeta said. But taking into account the proposals of the institute, “the 21st Century already exists,” it opined. Before the official publication of the report, the label “Back to Yeltsin’s Russia has been stuck to it,” the paper said, adding that it is “Yeltsin’s Russia” that the society will argue about. In this argument, camps have already been determined, it added. The daily also doubted that the report will stimulate a public discussion, as the authors hope. The problem is that the conversation about the ideas proposed may stop “in the flow of demagogy,” the paper said. Many will ask if the authors wanted “to return to the practice of [then-President Boris] Yeltsin’s epoch, thus plunging the country into the chaos of the 1990s,” the paper said. Some analysts also question the probability that Dmitry Medvedev will fully support the report. INSOR “has presented an image of an ideal Russia,” Vremya Novostey daily said. “The analysts have proposed their own way of modernization which has become a fashionable topic after the president’s appeal made in his article ‘Go, Russia’ and the last year’s presidential address to the Federal Assembly,” the daily noted. The institute’s head Igor Yurgens said that the authors followed the president’s advice “to write what you think without looking at the authorities,” the paper said. However, it is unclear who will fulfill the recommendations written by INSOR, the daily added. “Nobody will,” thinks Aleksey Makarkin of the Center for Political Technologies. “The authorities entirely fulfill the recommendations of analysts only in extraordinary situations,” he told the daily. 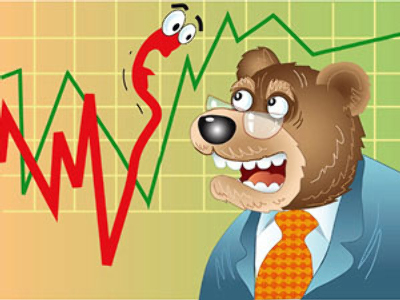 “Usually, analysts’ views are taken into account while the strategy is developed,” Makarkin said. “INSOR, as far as I understand, acts as a liberal adviser. It is unclear how many recommendations the authorities will take into account,” he said.